This isn’t a common occurrence. But every now and then, we come across someone who asks us why their urine smells like coffee. If this happens to you, or has happened to you, what should you do? Here’s a look at why this phenomenon occurs. And, what you should do in the off chance that you experience it. You’ve probably heard the saying that you are what you eat. Well, this statement is true because in one way or another what you eat is used up by your body. So, to a degree you’ll have some of the byproducts of the food or drink lingering somewhere. For one, your food choices determines your health. It’s what fuels your body. Each cell in the body is created from the food ingested. And, the state of your health would be greatly improved if you observed what you eat. Food affects your energy, weight and the overall health of the body. As such, this is what we’re seeing more and more today. We’re at a time where many lifestyle diseases are affecting the modern generation. And doing so at a very alarmingly high rate that’s significantly more especially when compared to the decades before. Doctors believe many of the diseases could be treated by observing proper and healthy diet plans. When it comes to our bodies, what goes in must come out. Food, much like any other energy source, when used up by the body, will be converted in part to energy that we use. And, another portion that’s waste product. Part of the toxic waste in the body is excreted through urine. And because of this, your urine reflects the state of your inner body. This is why urine is often examined from the color and the smell, all the way to the composition. You’ve probably experienced this when doing your annual physical. Normal urine color is clear to pale yellow and just a mild odor. If you have an illness or infection, the color, of course, will be different. In the same way, being dehydrated makes your urine more concentrated. 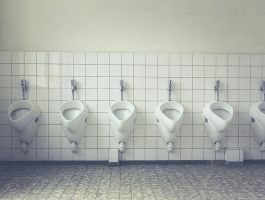 In any of the latter cases, you’ll notice that the smell of your pee changes from its regular mild odor to a stronger ammonia odor. This is when it’s time to observe and find a fix. Additionally, it bears noting that some food you ingest might affect your urine color and smell. One common culprit is asparagus which changes your urine’s smell soon after you eat it. Beets meanwhile, can make some people’s urine turn pink or red temporarily (a few hours to a couple of days). 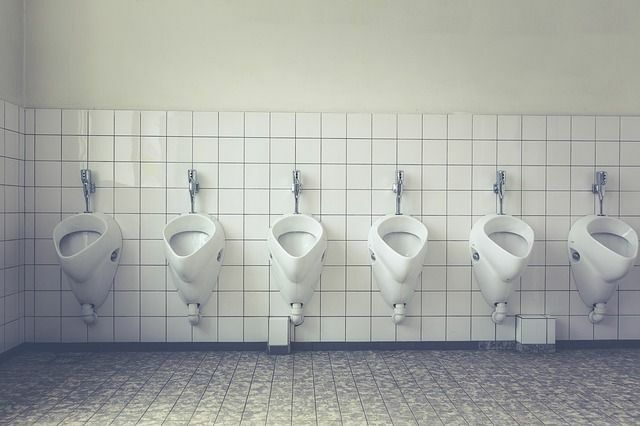 So what happens when your pee smells like urine? Coffee just like tea contains caffeine. When your urine smells like coffee, chances are you’ve consumed too much coffee. It depends on your body. So this is pretty subjective. Tolerance depends on your genetics. So everyone is different. 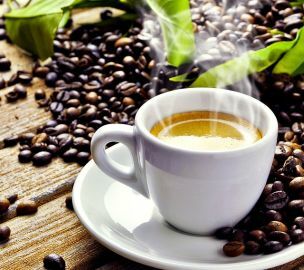 Caffeine in the coffee cannot be easily digested in the body. The kidney, therefore, excretes it in the form of urine. When you drink too much of this beverage in a short amount of time, the kidney will have to excrete large volumes of it in the urine. Thus, making the smell more pronounced. The more coffee you take, the stronger the smell. The smell is even stronger when you are dehydrated. And since coffee is a diuretic, it compounds the problem. This is why it is important to drink a lot of water throughout the day. A good lower limit would be about 8 glasses a day, especially if you’re a heavy coffee drinker. Water is good for your health and at least two liters by day if recommended to avoid dehydration. Unlike coffee, water is beneficial to your health and is a natural detoxifier. We all need to get water into our bodies at regular intervals to avoid dehydration. At this point, you may ask yourself why your urine doesn’t produce any smell from drinking other beverages, like juices or dairy products. This answer to this question that because these items are easily digestible in our bodies. With hydration, it can be sometimes difficult to tell because we’re often very busy with what’s going on in our lives. The good news is that it gives us symptoms. Some include thirst as well as feeling tired or lousy. Also, if your body is dehydrated, either because you don’t drink enough fluids or it is being excreted more regularly, for example you are sweating a lot or you’re on some diuretics, the body will be quickly tell you by producing more concentrated urine. At this time, you’ll notice a much darker yellow color as well as your urine’s odor being stronger. Coffee and tea are diuretic substances. They cause you to urinate more frequently. Doing so can lead to dehydration. The key to eliminating the coffee smell in your urine is by consuming less coffee and tea. Simply put, the less your drink the less probably your pee smells like coffee. Try as much as possible to reduce coffee intake. The more coffee you take, the stronger the smell. The other key remedy of eliminating the coffee smell is by drinking a lot of water. Doctors always recommend at least two liters per day. If you’re active or pee a lot, you need to constantly replace the water that you are losing through frequent urination or sweating. Water will also dilute the concentrated urine. Thus, camouflaging the coffee smell as well as reduce its potency. The good thing about water is that it not only eliminates the smell of coffee in the urine. It also has many other benefits. Balancing the pH of body fluids. Seeing that our bodies are composed of 60% water, this is crucial for good health. It can help you in managing the calories. This is very helpful when losing weight. Water energizes your muscles and keeps the skin looking healthy. Water also helps in digestion. And, it boosts body metabolism. Plus, water helps in regulating the body temperature as well as lubricating the joints and muscles. Urinary tract infection – the more water you take, the more you urinate. Thus, eliminating harmful bacteria in the bladder. Kidney stones – drinking water dissolves the substances that build up stones in the urine. Fever- water helps with fever by removing the heat from the body. Arthritis – water helps in lubricating the joints thus preventing and reducing its effects. Headaches – water helps in reducing headaches as well as their severity. It also helps those with diarrhea by guarding against dehydration. It also prevents constipation. Water lessens the effects of heartburn. Take the beverage with every meal. If you feel that water is bland or you don’t like its taste, or lack of it, try squeezing a lemon’s juice, or drop a slice of pineapple in your drinking water to add some flavor. Adding a fruit helps improves the taste. Consume more fruits and vegetables. Both these foods have high fluid content. Always carry water wherever you go. 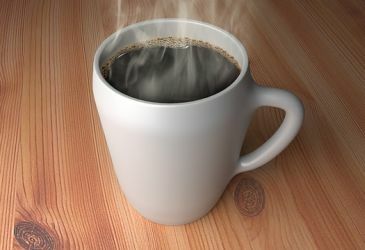 If the coffee smell is not eliminated after drinking the recommended water intake and reducing coffee intake, then you may need to see a doctor. There might be an underlying issue causing this that is beyond the simple over consumption of coffee. Otherwise, you can enjoy coffee and drink water to your health.